D+Q at the Claudia Dey Launch tonight! Claudia Dey launches How To Be A Bush Pilot at Copacabana tonight, Monday January 31st. Doors open at 8, presentations begin at 9. We will be selling copies of her book, so come on down to 3910 Saint-Laurent. It promises to be a wild ride - she'll read extracts from the book, answer audience questions, and there will be a presentation on the Alchemy of Love and Lust. RSVP on Facebook + view more details. I absolutely adore fairy tales. There is something about their fantasticalness (nevermind that that is not a word) that I fall for every time. Fairy tales put a spell on me. 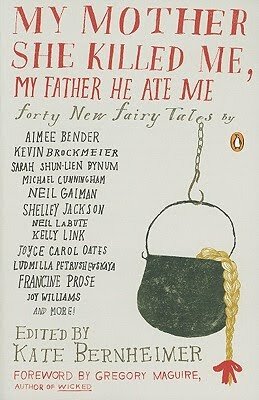 My Mother Killed Me, My Father Ate Me is a book of new whimsical fairy tales. Editor Kate Bernheimer compiled an array of tales from contemporary authors - Joyce Carol Oates, Neil Gaiman, and John Updike to name a few - who took influence from classical fairy tales, and put their own modern day spin on them. With stories taken from all around the world, this book will surely fill you with warm feelings of delight. P.S. 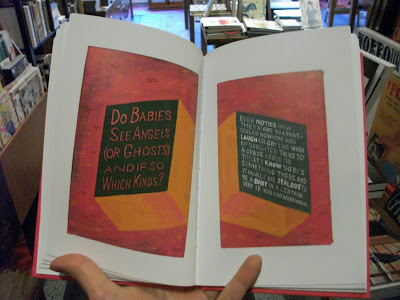 The cover illustration is by superartist Julie Morstad. Illustrator Mahendra Singh will be in the store tonight to give a slideshow/talk about his graphic rendition of Lewis Caroll's The Hunting of the Snark. Come and support a local illustrator in launching his latest work which was published by one of my favorite publishing houses Mellville House. Check out Mahedra's blog to get an idea of his work. 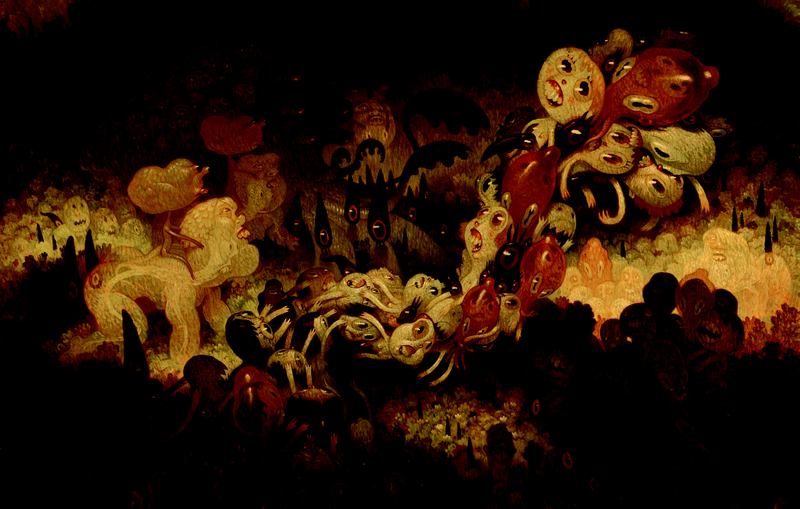 Hopefully he will also shed some light on the Lewis Caroll Society of North America of which he is a member. Fritter my wig! Success! Thanks to everyone who came out last night, and thanks to the CBC for having the panel here AND a special thank you to Jeff, Chris, Matt and Sherwin for taking part in the panel discussion. Keep an eye on www.cbc.ca/books for more pics from the event and make sure to tune into Homerun to hear clips from the panel. And continued with a full panel including Sherwin Tjia, Matthew Forsythe and Chris Oliveros. Essex County and more -- Tonight! 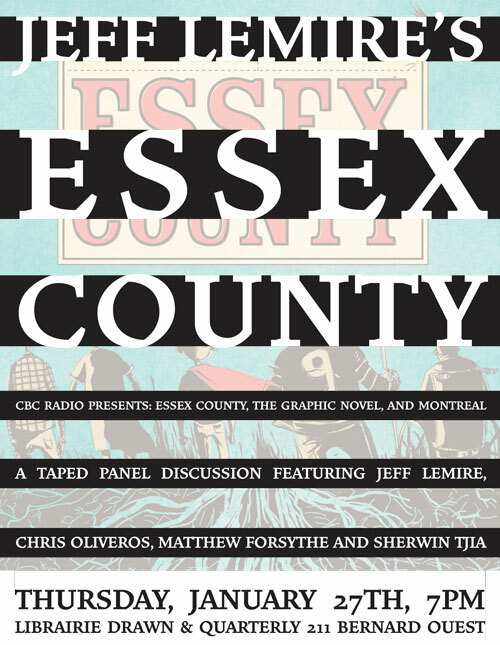 Come and meet graphic novelist/cartoonist Jeff Lemire, whose Essex County is in the running for this year’s Canada Reads. Homerun host Sue Smith and arts reporter Jeanette Kelly will be hosting and joining them on stage will be D+Q chief Chris Oliveros, as well as Montreal’s own graphic novelist Sherwin Sullivan Tjia, author of The Hipless Boy, and Matt Forsythe, the award-winning illustrator and comic book artist whose book Ojingogo won the 2009 Doug Wright Award for Canadian cartooning. The discussion will be recorded and segments will air on Homerun. Authors will sign their books respectively. I've frequently looked at Ray Fenwick's collection of postcards, Hi: 30 Postcards and wondered to myself why he doesn't have a new book out. 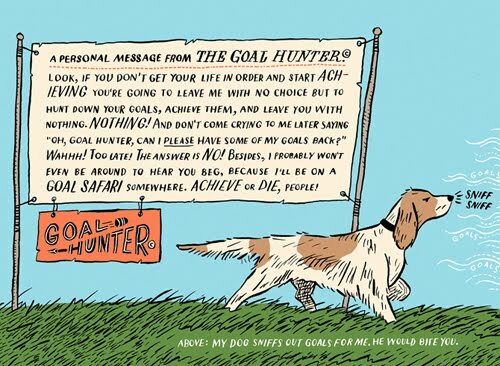 After all, someone with such pointed, articulate, funny opinions about goal achievement must have more to say. Ray Fenwick's Mascots is that expansion of opinion. It's also narrated by Cthulu... I think. 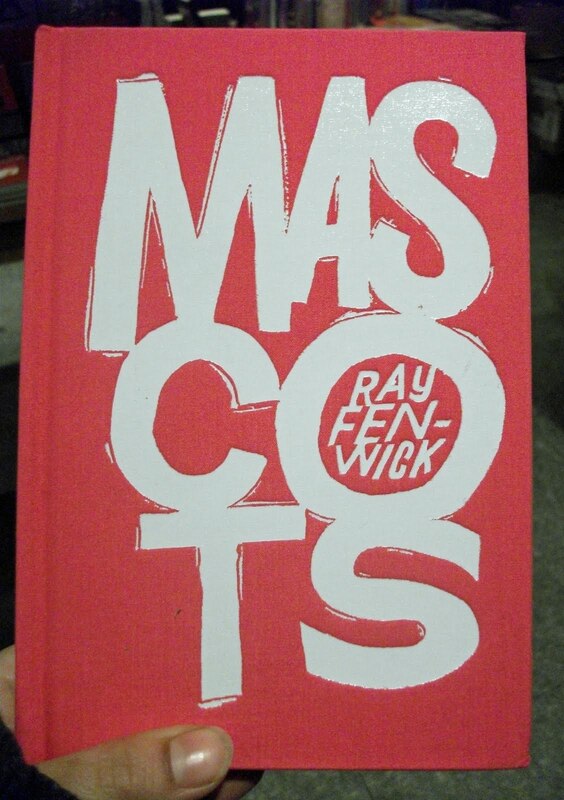 Mascots is a "collection of impressionistic stories that combine to create an absurd - yet familiar - parallel world. " The book is composed of a series of paintings on found book covers. What Fenwick paints is funny and punny, but also unexpectedly observant with just a little bit of metaphysical musing thrown in. 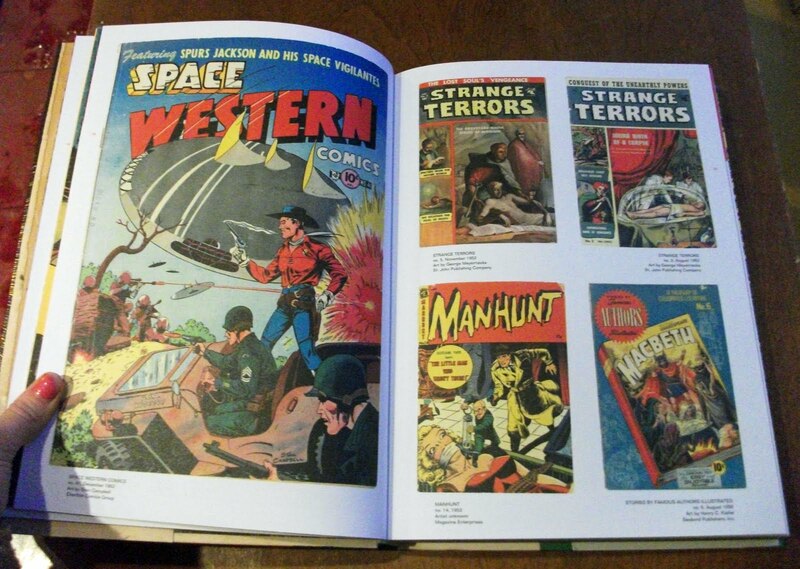 I know that doesn't make too much sense as a combination, so just read these pages and maybe you'll understand. Still confused? Check out this video, undoubtedly the best book preview I've ever watched, simultaneously faithful to the text and utterly mystifying. Oji Suzuki now in English! 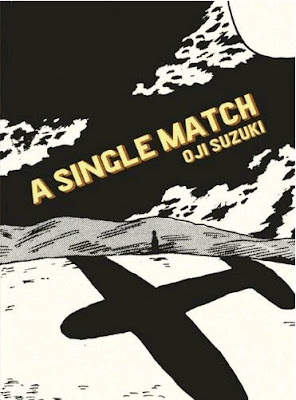 Remember how I said I couldn't wait for the release of Oji Suzuki's A Single Match? Whether I could handle waiting for it or not doesn't matter - what matters is that it's finally here in all its arresting poetic glory. The short stories in Suzuki's first English collection explore memory, relationships and loss with a loose narrative style, filling each tale with a sense of unfulfilled longing. 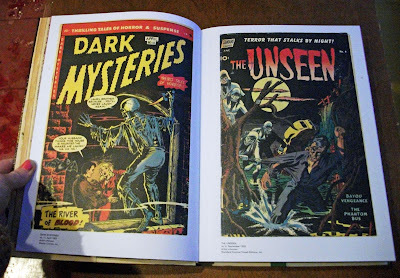 He plumbs the dissolute depths of human psychology, literally bathing his characters in expansive shadows that paradoxically reveal as much as they obscure. If you're still not convinced of the book's unquestionable brilliance, read a preview of A Single Match (PDF). New in store! 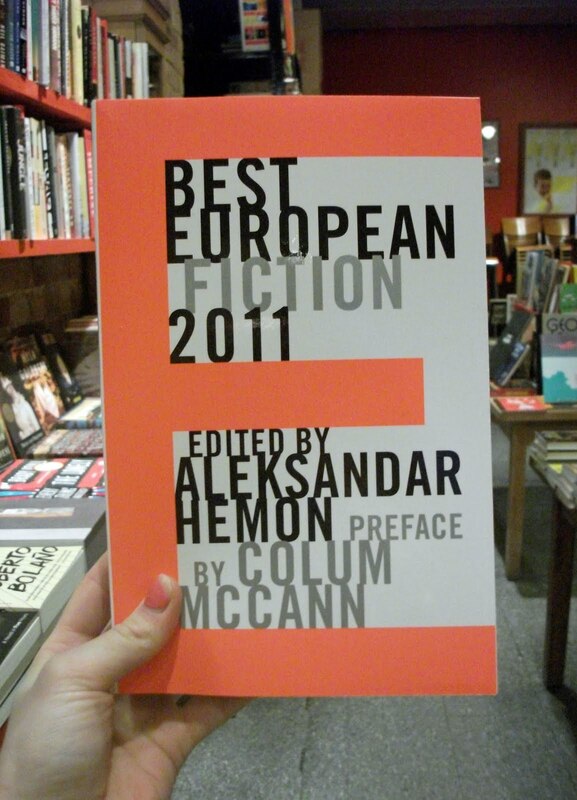 This is the second edition of the Best European Fiction series. 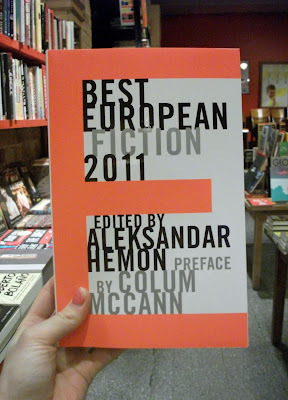 This year's entry includes forty authors from all over Europe, ranging from Kristin Eirikdottir of Iceland to Hilary Mantel of England and Zurab Lezhava of Georgia, all bound together in some very handsome book design. 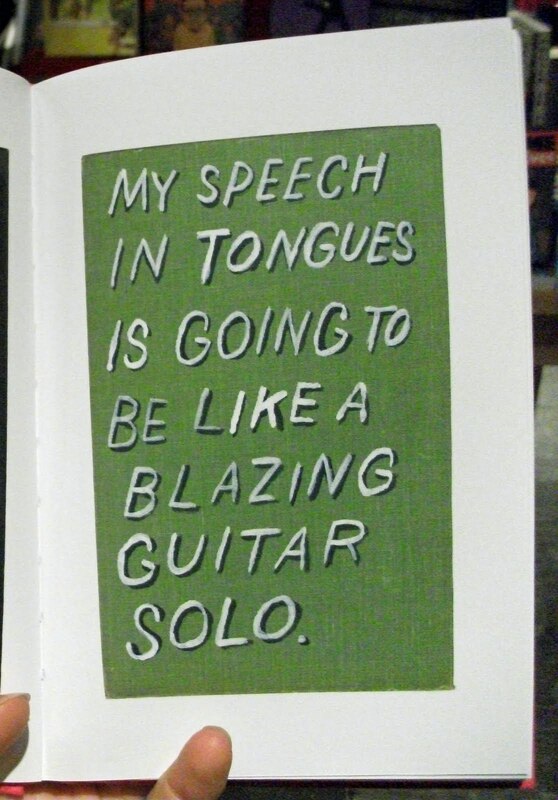 At the risk of stating the complete obvious, we here at Drawn & Quarterly LOVE books. 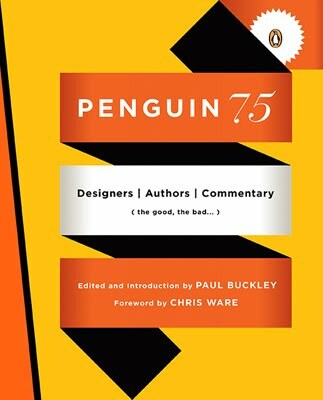 So, upon coming in to work today and seeing Penguin 75: Designers, Authors, Commentary (the good, the bad...) sitting pretty on one of ours shelves, I gasped with delight and snatched it my hands. I am going to just admit it...I'm a little obsessed with this book. For their 75th anniversary, Penguin 75 looks at 75 contemporary Penguin book covers, done under the art direction of Paul Buckley, Roseanne Serra, and Darren Haggar. 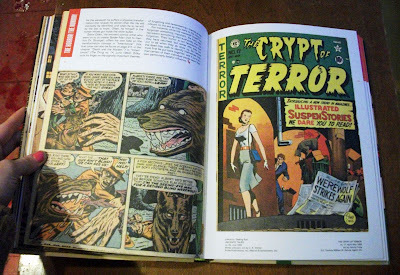 They basically give the behind-the-scenes info on what goes into making an amazing (or, in some cases, horrible) cover design from the perspective of the art directors, designers, and authors. They show proposed and rejected covers, as well as how the book was designed by other publishers. 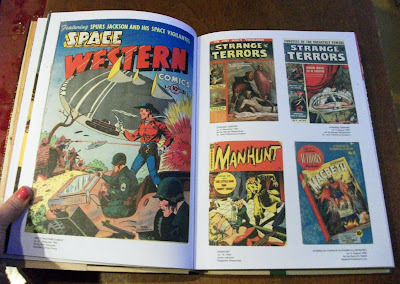 It's just really fun and fascinating to see so many of the books we have in the store in the book, and read about how the cover design came about. Plus! 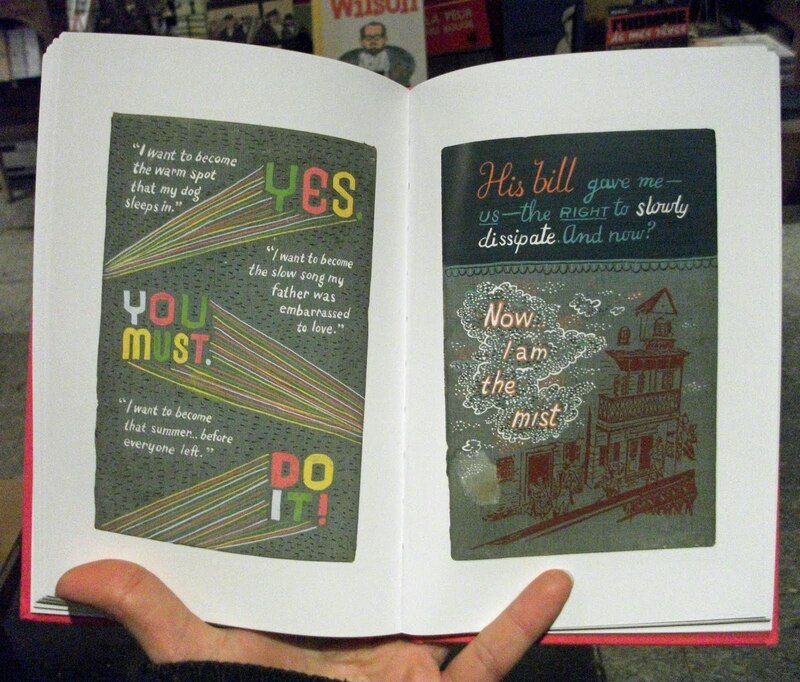 Foreword by the cover designer extraordinaire Chris Ware! Dave Cooper in store ! 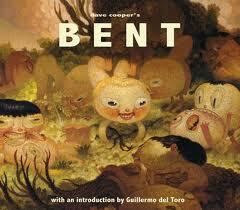 Shake off your January blues and join us tonight Thursday January 20th for the launch of Dave Cooper's latest book BENT ! 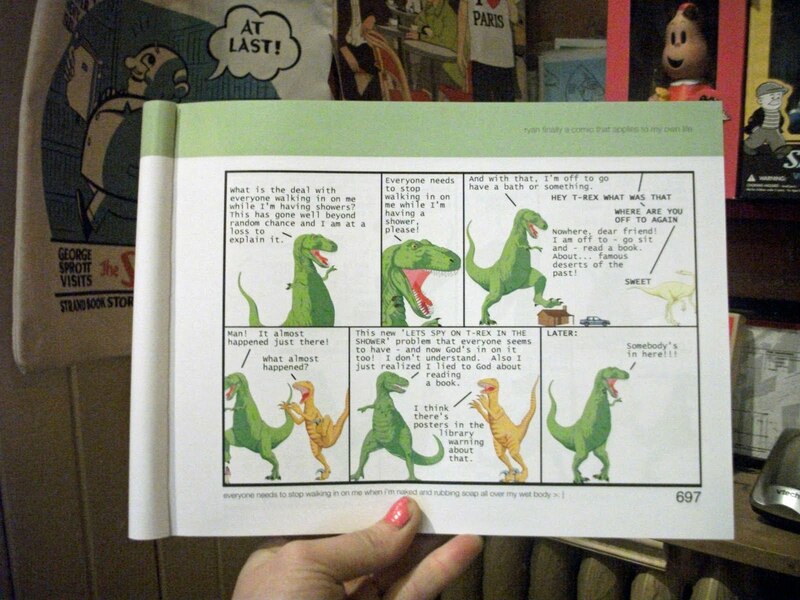 Dave, though Canadian, is well known in the American underground comic scene and has received much praise for his work over the years, Ripple, Suckle and Crumple have always been Librairie favorites and his kids book Bagels Lucky Hat is somewhat of a classic around these parts. 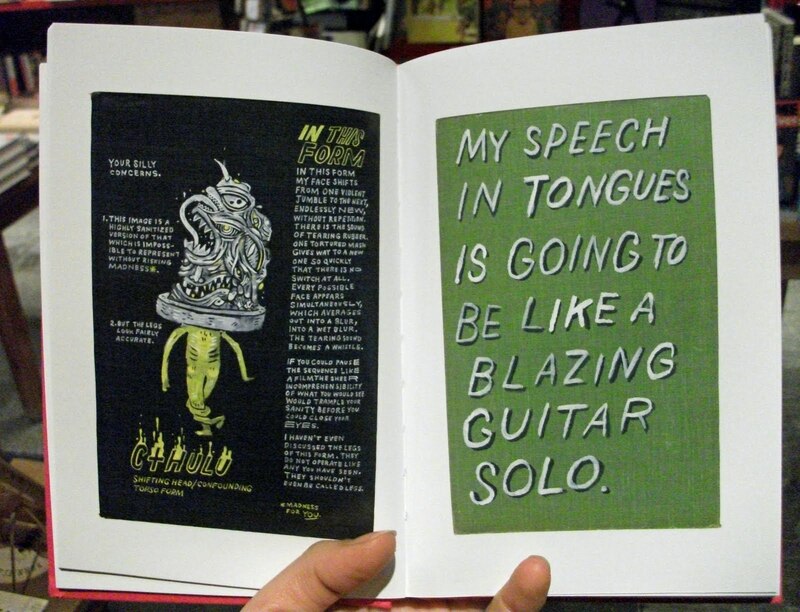 This new monograph, published by our incredible book-making brethren Fantagraphics Books, collects work from gallery shows, private collections and publications between 2004 and 2010. It even features an introduction by Guillermo Del Torro! 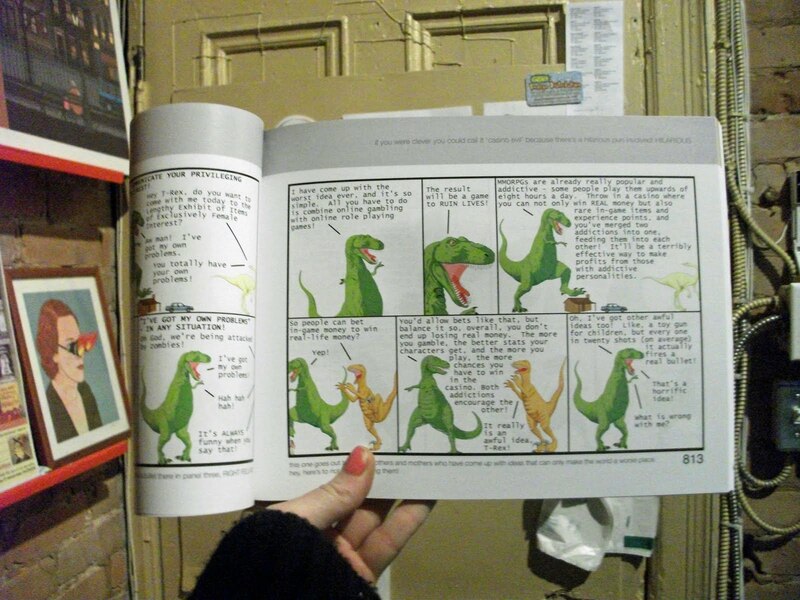 On a beautiful, snowy Montreal Saturday night, 500-plus Montrealers made their way to the historical Ukrainian Federation to see the fabulous Lynda Barry give a presentation on her new book Picture This. It was a full house to say the least. The entire floor was full, and the crowd spilled upstairs. The crowd seemed to be a fair split of people who had read her comics in various Canadian weeklies, or were customers of the store, or had heard her interviews on the CBC, or read the profiles in the Gazette or the Hour. 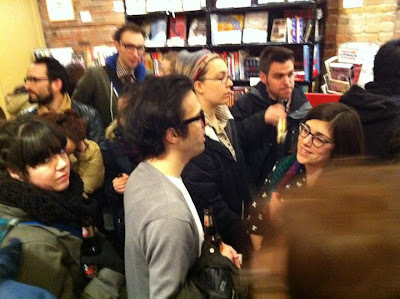 The D+Q Librairie is located in the neighborhood of Mile End and it seemed that everyone from the neighborhood was in attendance. For a detailed report of the show check out the Mileendings blog by local writer Sarah Gilbert. Above is the writer Jonathan Goldstein who has his own CBC show Wiretap and is a contributor to This American Life, on the left is Jon Tucker, Wiretap contributor and on the right, artist Helene Brosseau. Chris Oliveros, Kit Malo, and Marina Lesenko. Billy Mavreas, Joe Ollmann, and Emilie O'Brien. Chris gave a wonderful, long thoughtful introduction covering Lynda's career. This was the first time that I had ever been able to actually see Lynda give her presentation. Usually, I am rushing around a convention hall and have to go back to the booth. I have to say, and I know I'm the publicist, her talk is hands down one of the best author talks I have ever seen. She's VERY funny, poignant, and inspiring. It's simply amazing. And yes, those are props and a backdrop but not for Lynda, but for an area high school play. They seemed to suit Lynda's show, though. This is her line at the start of the signing. This is her line about 30 minutes after the show had ended. She signed for two hours. Here's a hint about Lynda's lines, it stinks to be at the end, but the wait is worth as she spends even more time with the last few people in line, as she knows how long they have been waiting. Here's part of the behind the scenes team that makes D+Q tick and a great place to work. From left to right: Julia Pohl-Miranda, Jessica Campbell, Rory Seydel, and Tracy Hurren. The next night we had a soiree at the store for D+Q employees and friends. Rebecca was here from France! With her best "little my" hair do. Here's Chris and artist Adrian Norvid, whose artbook, Nogoodniks we are putting out this June. Lynda received good bye fanmail from the Oliveros-Lesenko boys. OK, so if you're not in Montreal and you're not anywhere for Lynda's next appearances in Chicago, Philly and Boston, what are you to do? You can listen to this Sound of Young America interview and you can watch this video of Matt and Lynda in India, where they attended the INK Conference in association with TED. Here are a couple of pics from the sold-out Lynda Barry event here in Montreal on the weekend. Store employees confirmed that pretty much every single regular store customer was there, so thanks, everyone!! I hope you had as good a time as we all did. Behold! 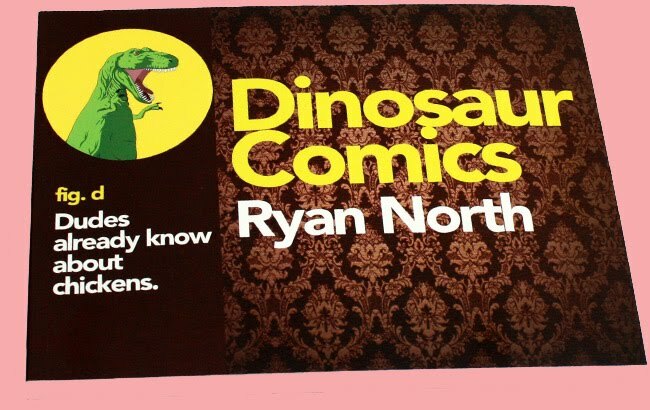 My second favourite Daniel Clowes book is now in paperback! 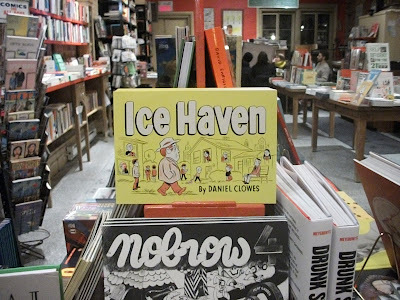 Ice Haven tells the story of a small American town and its oddball residents through a series of mix-and-match comic strips. Brilliantly executed, Ice Haven has it all— comedy, mystery, romance, meta-narrative. Highly recommended. 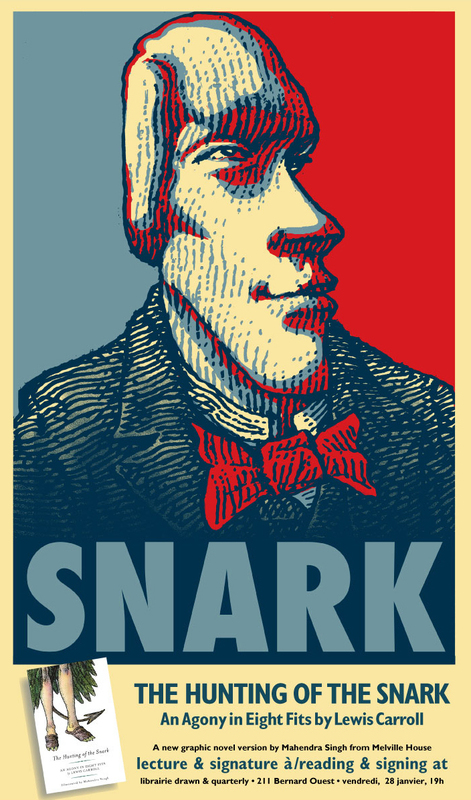 Written by Louis Carroll, The Hunting of the Snark is an absurdist, Nonsense poem. 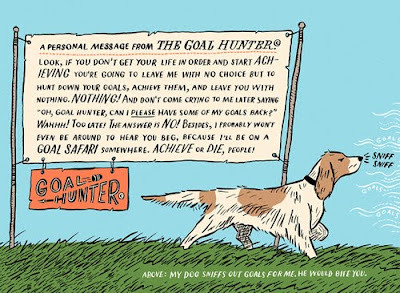 Carroll once described the poem in a letter to friends as "an allegory on the search for happiness." Orginally published in 1876, this version is illustrated by Montrealer Mahendra Singh. Singh describes his drawings as protosurrealist, "the simultaneous dream-memory of everything...with an added frisson of remembering an impossible future." Singh uses the classical pen technique for his images, making the drawings look Victorian in aesthetic, yet illustrating them as if they depict are our eventual and prospect future. D+Q will be launching the book! On January 28, 2011 at 7pm, Singh will join us in discussing the book and signing copies for all snark enthusiasts: "It will be a simple affair, a magic lantern show whilst I explain it all in a popular style that even a Beaver can understand!" To RSVP and for more details, check out the Facebook event.